By Olivia L. Strom (Author) An FBI agent, lost in a world of digital fantasies – but the danger is very real… FBI agent Maynard Haile believes in old-school policing. He’s never touched the incredibly popular virtual reality world of Eden Online, and he’s got no intention of starting now… …until his fellow agents assigned to the case start dying – killed by something inside the game itself. 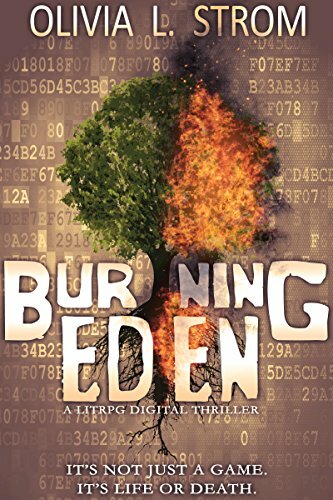 Paired with Alyx Jirra, a half-reformed hacker who’s reluctantly chosen to help the authorities instead of accepting a jail sentence, Haile takes his first steps into the massively multiplayer world of Eden Online. He’s on a deadline, trying to find the responsible parties while navigating this wild new world. But there’s a conspiracy, deeper than anyone realizes, twisting and altering the world of Eden itself. Violence is about to spill out of the digital world and into reality. Eden Online is no longer just a game; it’s life and death.